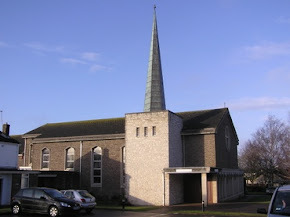 We said our farewells to Deacon Peter Hinchey at 3 special services in July. 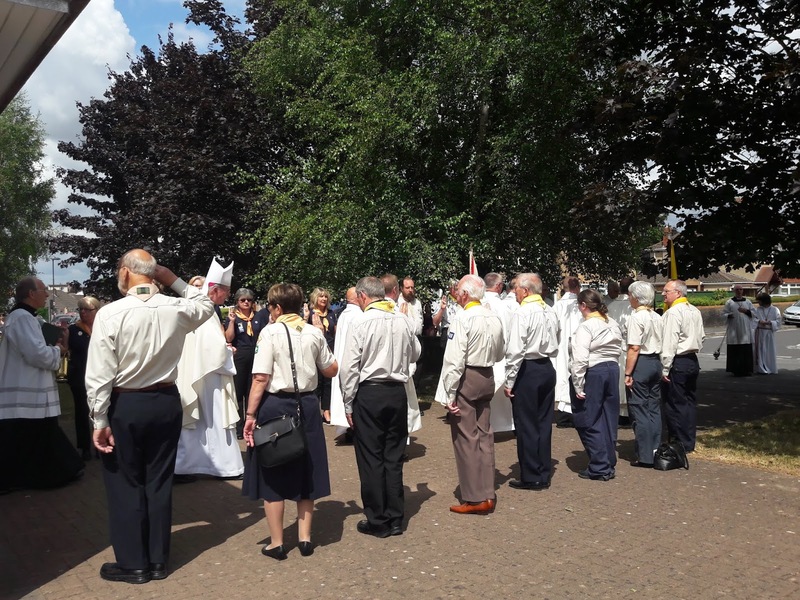 Peter was received into Church at 5pm on Monday 16th July and then over 200 people came to a special Mass that evening which Fr Frank had arranged to give everyone a chance to say their goodbyes. 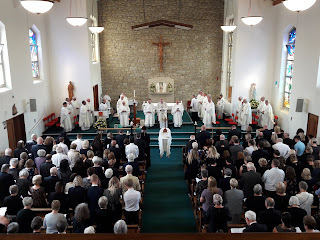 The next morning Peter's Requiem Mass was celebrated by Bishop Declan, supported by nearly 30 clergy members and was attended by just over 500 people. 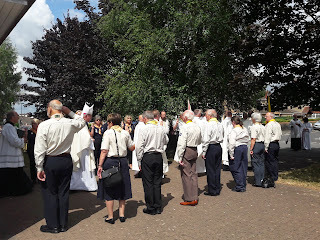 Peter had already selected all the prayers and music of the Mass and it was a beautiful tribute to him and his ministry. His family were all involved during the service, including the newest member of the Hinchey family, his great-grandaughter at just 2 days old, who received a blessing from Bishop Declan. The family read a wonderful tribute to their father, with such great memories and reflections on his long and interesting life. 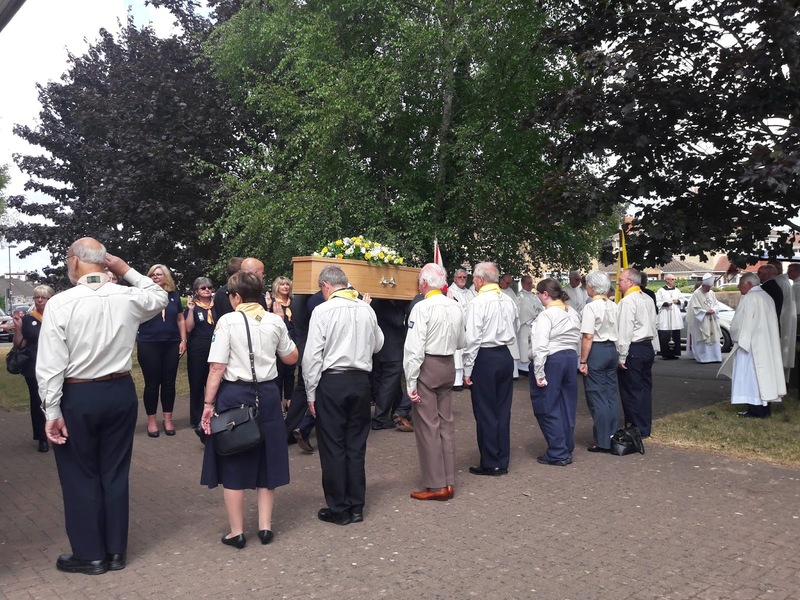 As he left the Church to go on to the final part of the service he was given a Guard of Honour by the District and Local leaders of the Uniformed Organisations of which he had been involved for most of his life. Rest in peace dear Peter. David, Dominic & Philip Hinchey would like to thank everyone for their kind messages & for their support over the last few weeks since the passing of our father. We really have appreciated it. 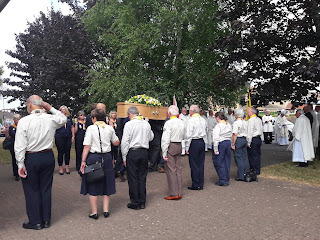 It was so lovely to see so many of you at the services for him, especially the Masses which will live in our memories for ever. May God bless you all, Amen.